Edinburgh Castle welcomes a fantastic new multimedia exhibition this week, just in time for Scotland’s Year of Architecture, Innovation and Design. 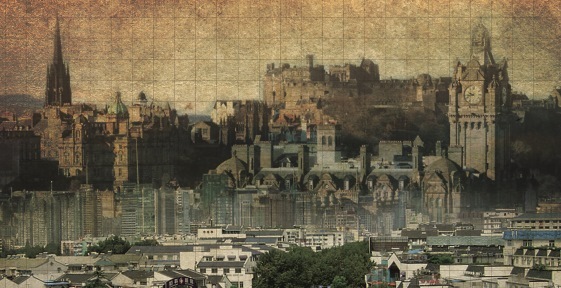 A Tale of Two Cities tells visitors about the best of times and the worst of times in the world heritage cities of Edinburgh and Nanjing, using a combination of archive material, art and interactive content. When you think about similar cities, Edinburgh and the Chinese city of Nanjing may not be the first pair that spring to mind. But the two have more in common than you might think. Enter Queen Mary’s Chamber (just beside the Crown Gift Shop to learn how the cities of Edinburgh and Nanjing were formed. Move into the antechamber to peel back layers of history using digital touch tables. See aerial views of the two cities side by side, then tap on the display to uncover individual stories. Head into the Laich Hall to find out how the two cities expanded to make sure their residents had enough space – from the end of the 17th Century until the present day. This exhibition is fully bilingual, with all the information presented in both English and Mandarin. It was co-curated by Historic Environment Scotland and Nanjing Museum, and developed by Edinburgh-based Nomad Exhibitions. A Tale of Two Cities will be on display to the public at Edinburgh Castle from 9th December 2015 to 14th February 2016. It is included in your admission ticket.